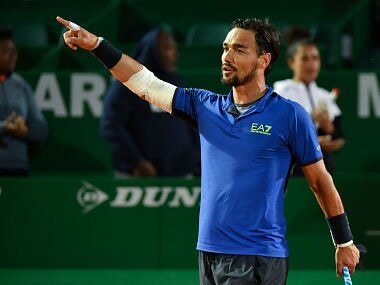 Paris: Fiery Italian Fabio Fognini launched into a tirade against supposed preferential treatment for the ATP's 'NextGen' players at the French Open. 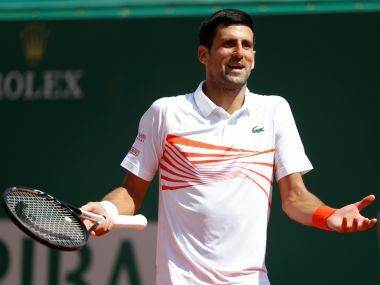 The 18th seed said it was unfair that young players who have yet to impress at Grand Slam tournaments are given matches on show courts, claiming they should "eat more pasta, run and win matches" before being hailed as stars. The last male player to win his first Grand Slam tournament while under the age of 25 was Juan Martin del Potro at the 2009 US Open, with current youngsters like 21-year-old Alexander Zverev and Denis Shapovalov, 19, yet to make their mark on the biggest stage. 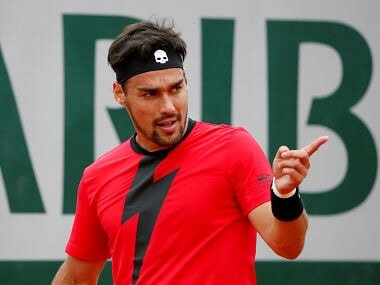 "This Next Generation thing is b******t, I don't like all this attention," Fognini told Italian media after beating Elias Ymer 6-4, 6-1, 6-2 to set up a third-round clash at Roland Garros with 23-year-old Briton Kyle Edmund. 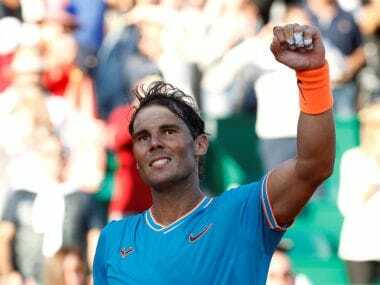 "Rafa at 18 won Paris, now we have Shapovalov who is 25 in the world, is improving but at the same time plays the first match on the Suzanne Lenglen court and the second on Court Number One. "When I see the programme of the day I am puzzled when I find instead (Garbine) Muguruza v (Svetlana) Kuznetsova, for example, who play elsewhere." Rafael Nadal, Roger Federer and Novak Djokovic all claimed their maiden Grand Slam titles before turning 22. 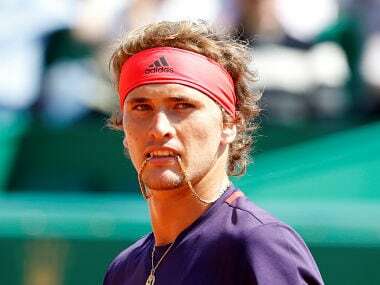 Zverev is the second seed in Paris having already won three Masters titles in his career and is considered a serious threat at Roland Garros, despite the fact he is yet to reach a major quarter-final. Shapovalov was knocked out in the second round by World No 70 Maximilian Marterer on Thursday, while fellow young hopefuls Hyeon Chung and Andrey Rublev are missing the French Open through injury. The ATP has promoted its young guns through their 'NextGen' series since the start of last season, playing a 'NextGen' Finals in Milan last year for the best eight players aged 21 and under. "The ATP does many good things, but I don't agree with this one, I don't understand this NextGen thing," continued Fognini. "I don't agree with all this attention given to these young players. "I hope they will play well, Shapovalov will surely be among the top five in the world. If someone plays well he is going to get attention anyway and can do like Nadal. "They play well, (Karen) Khachanov, Rublev, Zverev, Shapovalov, they all play well. But there is such a fuss made about them, I don't like it, I don't agree. "Winning 10-8 in the fifth on court 27, you have to go through that, not playing against Federer on Chatrier. They have to eat more pasta, run and win matches."